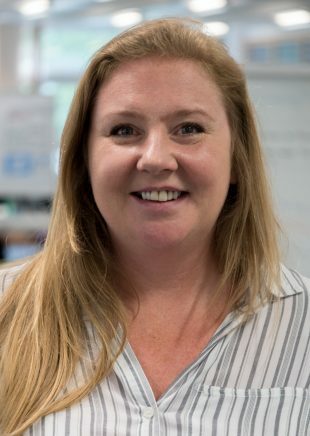 I’m Cathy Buchanan, a Product Owner in DWP Digital. I’ve worked on digital projects for the last year, initially as a Business Analyst and more recently as a Product Owner. I’ve had a varied career in DWP, working in operations, operational improvement, security and digital inclusion. 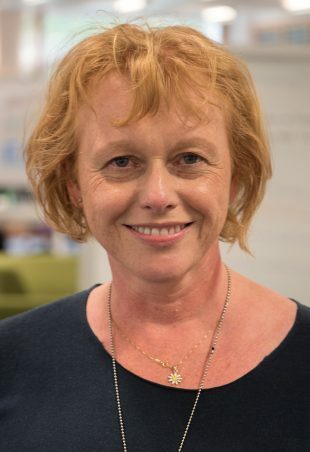 And, I’m Sally Shaw – I’ve worked in Digital Services for the last six years, primarily as a Product Owner. Our days are always varied and busy, but never dull. As Product Owners, we own the product vision. 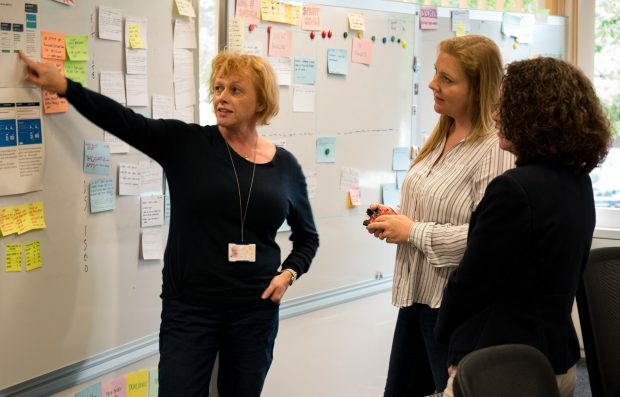 We’re also responsible for the end-to-end delivery of the services we’re working on and ensuring the user is at the heart of whatever we develop. This work includes the design, build, testing and maintaining of secure product solutions. To make sure we articulate the vision clearly, we communicate regularly with the team and stakeholders involved through daily stand-ups. We also spend a lot of time prioritising and planning the work to ensure our team is building the right thing at the right time. Currently we’re working across a number of services, two of which are reaching maturity. The Digital DS1500 Service allows healthcare professionals to provide vital medical information online to DWP securely, quickly and accurately, to support benefit claims from terminally ill patients. Digital DS1500 is currently in public beta and will move into live service in August 2017. And the Send your Fit Note (photo) Service is approaching public beta and allows our customers the opportunity to submit their Fit Note to us in real time from a mobile device, such as a smartphone. We’re also discovering if robotics can automate Fit Note processing. The Digital DS1500 Service going live is one of our biggest achievements as it helps to support our most vulnerable customers at a time they don’t want to be worrying about money. People are at the centre of all we do. The technical complexity that we need to understand in order to deliver these services can be a challenge – we both speak at least one new language! Agile working is very much about working in the moment, like living mindfulness; so each evening you leave with a feeling of achievement and this is picked up when you next walk in. The work leaves you energised, but somehow it’s easy to switch off for the evening or weekend when a glass of wine can aid relaxation (we both like red FYI). Working in DWP Digital is a constant learning curve and it’s done at pace. We’ve learnt the importance of building user-centred secure services that stand up to the threats of the modern world and are flexible enough to respond to changing needs. And, moving to a user centric-approach makes it more important than ever to build a diverse workforce that represents the community we’re here to serve. Last year, we worked with interns who were blown away by how we work in DWP Digital. They’d come along expecting us to be stuffy bowler-hatted civil servants, but found the way we work dynamic and inspiring. Our teams work collaboratively, not hierarchically, so there are real opportunities to take ownership and inform excellent design. We’re recruiting all the time. Visit our DWP Digital Careers site and look at our LinkedIn page to see our latest jobs.